Tabletop Gaming in the Post-apocalyptic Wasteland! Multiattack. The ghoulrilla makes two fist attacks. Fist. Melee weapon attack: +8 to hit, reach 5 ft., one target. Hit: 16 (2d10 + 5) bludgeoning damage. Rock. Ranged weapon attack: +8 to hit, range 30/60 ft., one target. Hit: 19 (4d6 + 5) bludgeoning damage. Multiattack. 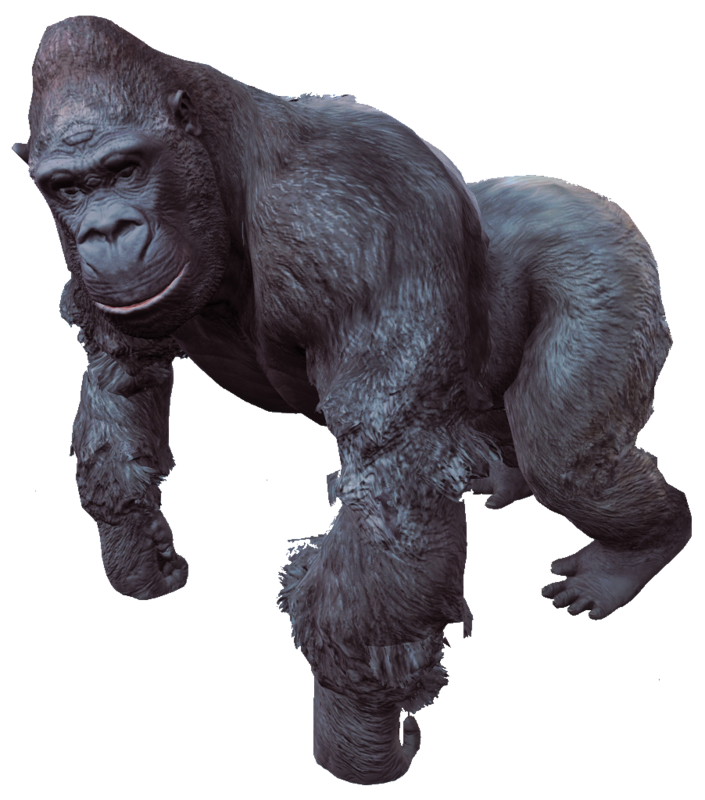 The ghoulrilla king makes three fist attacks or throws two rocks. Fist. Melee weapon attack: +10 to hit, reach 5 ft., one target. Hit: 17 (2d10 + 6) bludgeoning damage. Rock. Ranged weapon attack: +8 to hit, range 30/60 ft., one target. Hit: 20 (4d6 + 6) bludgeoning damage. Fallout is the sole intellectual property of Bethesda Softworks. This is purely a fan work. Rules presented work with D&D 5e. Text and game mechanics presented in this wiki are not Open Game Content and should not be reproduced or repackaged in any way.